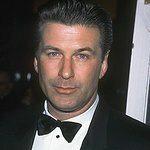 A new online auction on CharityBuzz.com is giving you and a guest the chance to attend the USTA Foundation's Opening Night Gala at the 2017 US Open and enjoy a seated dinner at Alec Baldwin's table. The Gala will launch the Opening Night of the 2017 US Open in grand style and provide an unforgettable evening where the lucky winner and their guest will meet award-winning actor Alec Baldwin! This year’s star-studded Gala will be hosted by Alec Baldwin and Martina Navratilova and will include leaders from the worlds of fashion, business, entertainment and sports. Bid now for your chance to meet Alec Baldwin and attend one of the most exciting events of the year! The auction ends on Tuesday, August 8. To find out more, click here. The mission of the USTA Foundation is to bring tennis and education together to change lives. To date, they have awarded more than $25 million in grants and scholarships to more than 270 programs, benefitting thousands of children and adults through tennis, education and health curricula. Find out more here.